Japan has no shortage of canned coffees. Boss, Tully’s, Emerald...the list of brands goes on and on, and there are all different types of coffees under each brand. 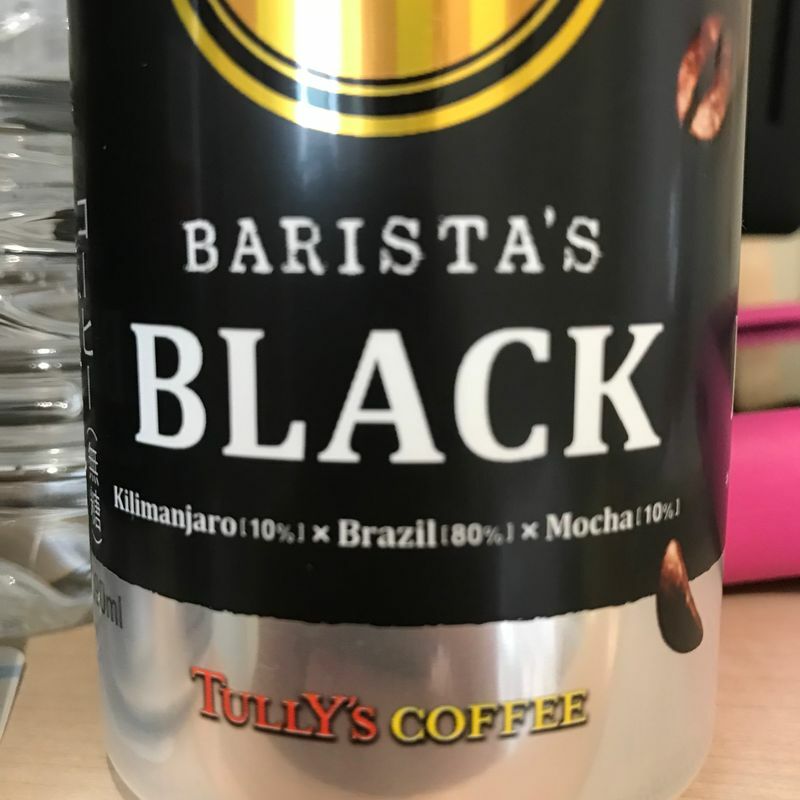 My favorite of the bunch is Tully’s Barista Black. Hot or cold, it’s always tasty and never bitter. Tully’s Barista Black has 10% Mocha in it! Well, that explains why it’s smoother than other black coffees. Also interesting that they mix African and South American roasts in there, too. So I guess the secret to a good black coffee is a varied mix with a bit of mocha in it! Tully's was always my favorite. Nice noticing that can. If never have guessed but did always wonder why it's so good.